The chain of calamity now known as Japan’s Triple Disaster began with a massive rupture in the ocean floor. At 2:46 p.m. on March 11, 2011, below the seafloor off the country’s northeast coast, the Eurasian and Pacific tectonic plates, which grind against one another at the bottom of the Japan Trench, slipped their grip. It’s a common enough occurrence in what is one of the world’s most seismically active regions. A megathrust fault there runs for some 500 miles undersea and experiences hundreds of lesser tremors every year. This one, however, was different. At magnitude 9.0, what became known as the Tohoku earthquake was the world’s fifth largest since modern records began around 1900. In Tokyo, less than 200 miles from the epicenter, the trembling lasted a full six minutes. When it finally stopped, parts of the main island of Honshu had moved eight meters, or 26 feet, to the east. Damage from the earthquake itself was just the start. The tremendous upthrust from the seafloor unleashed a series of enormous tsunami waves, the first of which struck the coast within an hour. Images of the devastation still stagger. Cars and boats perched atop buildings. Houses floating in the sea. The haunted faces of survivors, and of exhausted rescue workers searching through mountains of splintered debris. Entire villages obliterated. At the Fukushima Dai-ichi nuclear power plant, commissioned in 1971 on the coast 140 miles north of Tokyo, the earthquake had already knocked out electricity, but emergency backup systems seemed to be functioning properly. Then the tsunami hit. An image captured by a plant security camera freezes the moment. It shows a small ship idling in the shallow harbor in front of the reactors, safe within the arm of a 19-foot sea wall. Just behind the wall, looming like an overwrought computer-generated image, is that enormous curling wave. Topping 45 feet, the tsunami mocked all precautions. The plant was quickly flooded, and its backup diesel generators incapacitated. The complete power loss launched days of spiraling catastrophe that riveted the world, culminating in the largest nuclear disaster since Chernobyl in 1986. Without their cooling systems, three of the plant’s six reactors began to overheat. The buildup of hydrogen gas generated by melting nuclear fuel resulted in colossal explosions in these three units and damage to the containment structure of a fourth reactor. Tens of thousands of people left their homes as the Japanese government set up widening evacuation zones based on shifting predictions of radioactive fallout from these explosions. Meanwhile, amid frantic efforts to forestall a complete meltdown, thousands of tons of water were poured onto the reactors from water cannons, fire trucks, and helicopters. That water picked up radioactive isotopes from the reactors and eventually drained to the sea. Ten nail-biting days after that first wave hit, the immediate nuclear crisis was contained. But the lasting impacts of the triple disaster are practically incalculable. The tsunami alone killed 20,000 people, and displaced more than 150,000 others. Economic losses have been estimated at anywhere from $250 billion to $500 billion USD. Merely cleaning up the debris scattered along the coast, some 22.5 million tons of it, is a task that will require years. The larger legacy of the nuclear disaster may take decades to unfold. Radioactive fallout has led to permanent evacuation of a 300-square-mile area around and northwest of the plant, rendering another 150,000 people homeless. Widespread contamination of water, soils, crops, and vegetation has necessitated expensive cleanup efforts and banning of foodstuffs, and has sparked ongoing health concerns, particularly for children living within affected areas. Uncertainty about acute and ongoing radioactivity exposures has heightened public anxiety, crippled local economies, and jeopardized the future of nuclear power in Japan. Finally, frustration and anger at the response of Japanese authorities to the disaster, including bungled communications and withholding of information during and after the crisis, has severely damaged public trust in Japanese government and industry officials, as well as Japanese scientists. It could’ve been worse, said Ken Buesseler, a marine chemist at Woods Hole Oceanographic Institution (WHOI). Because of prevailing weather patterns and the coastal location of the plant, an estimated 80 percent of the radioactivity released by the accidents at Fukushima Dai-ichi wound up not on the densely populated Japanese mainland but in the sea. As a result, although thousands of people living near the plant may have suffered some level of exposure, tens of millions of Japanese were spared. On the flip side, the huge amount of radioactive contamination to the western North Pacific, delivered via atmospheric fallout and direct discharge of cooling waters, created an unprecedented challenge for the ocean—and for ocean scientists. What, exactly, had the ocean absorbed? What would the immediate impacts be on sea life at every level, from microbes to fish to humans? Where would all that radioactivity go, and where would it eventually wind up? A host of Japanese researchers, and their counterparts from around the world, mobilized to take on these questions. At Woods Hole, Buesseler had watched the evolving disaster with particular interest. He has spent a career studying radioactive isotopes in the ocean, beginning as a graduate student in the MIT/WHOI Joint Program measuring traces of plutonium left in the Atlantic from Cold War-era nuclear weapons tests. In April 1986, shortly before he was to receive his Ph.D., he got word of the nuclear disaster at a place called Cherno-byl. He quickly made his way to Turkey to begin sampling radioisotopes in the Black Sea. In the decades since, Buesseler has focused mostly on radioisotopes that are present in the sea because of natural geochemical phenomena, and on refining the techniques that allow oceanographers to use these elements to trace currents and understand processes that go on in the ocean. Immediately, Buesseler began strenuous efforts to mount a research cruise to the area. Within weeks he had organized an international team of scientific colleagues, and—with a $3.7 million grant from the George and Betty Moore Foundation—the necessary funding. He chartered the research vessel Ka’imikai-o-Kanaloa, nicknamed the K-O-K, from the University of Hawaii, and on June 6, with final permissions to sample in Japanese waters yet to be granted by the Japanese government, the ship left Yokohama on a two-week sampling mission. With Japanese vessels taking coastal measurements, Buesseler and his team focused their efforts farther offshore to paint a bigger picture about the large-scale transport and ultimate fate of the radioisotopes. In May and early June, cesium-137 concentrations measured along the coast had dropped off precipitously, as most of the cesium initially released was washed out to sea. Cesium-137 is soluble in seawater, Buesseler explained, so it quickly disperses down and out into the ocean. “If you shut off the source, you start to decrease the concentration of cesium-137 immediately,” he said. Sampling from the K-O-K subsequently confirmed that the powerful Kuroshio Current, running northeast along the coast like the Gulf Stream in the Atlantic Ocean, carried most of the radioactivity out into open waters of the North Pacific. Blanketing a wide area, Buesseler and his colleagues sampled seawater, plankton, and small fish at the surface and at varying depths. What they found was in some ways encouraging. Levels of cesium in these offshore waters, though higher than normal, were below limits considered risky for human or animal exposure. The levels were, however, high enough to be of some concern if they accumulated in fish and were eventually consumed in seafood. For the Japanese, who eat more seafood than perhaps any other modern nation, such concerns are magnified. Reports of contaminated catch off Fukushima led quickly to closure of fisheries there and in surrounding precincts. Attempting to ensure consumer safety and calm fears, the Japanese government further reduced limits for acceptable radioactivity levels in fish, which were already among the lowest in the world. But although the vast majority of fish now being taken off the coast of Japan meet even this stringent standard, some contaminated fish continue to be caught years later. Troublingly, as Buesseler pointed out in a study published in the journal Science in October 2012, levels of cesium present in a wide range of fish are no longer declining or are decreasing only slowly—suggesting that cesium is still emanating from the nuclear power plants or contaminated sediments on the seafloor. Some Japanese coastal fisheries remain closed, and public anxiety remains high. The economic cost has been enormous, with estimates of fishing industry losses ranging from $1.3 billion to $2.6 billion USD in 2011 alone. 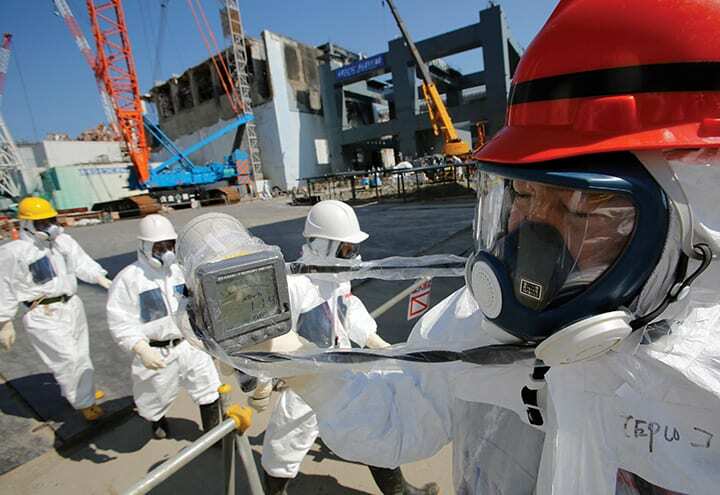 Almost two years after the Fukushima disaster, basic questions remain. How much radioactivity was released into the ocean? What is the long-term fate of those contaminants, and what impacts will they have on the marine environment? What, if any, are the continuing sources of radioactivity—and when will they end? Is Japanese seafood safe? Connected to these questions are concerns about radioactivity and human health. What are the risks of low-level exposure to both long-lived isotopes such as cesium-137 and fast-decaying ones such as iodine-131? And then there are questions about the official response to the disaster: What went wrong? What has been learned? What could be done differently? Ongoing safety concerns and widely expressed public frustration point to failures in crisis communications, and the challenges of communicating effectively about complex scientific realities—especially those involving risk. This is the first in a series of Oceanus articles on this important conference, the catastrophe’s far-reaching repercussions, and lessons to be learned from Japan’s Triple Disaster.